The Suunto Traverse Alpha is a powerful GPS watch purpose-built for hunters and anglers. Knowing the barometric pressure trend, sunset and sunrise times and moon phases helps you plan your fishing day - and catch more fish. The automatic breadcrumb of your track ensures you can re-trace your steps when needed. The strong build and powerful battery of Suunto Traverse Alpha keep you exploring hour after hour. 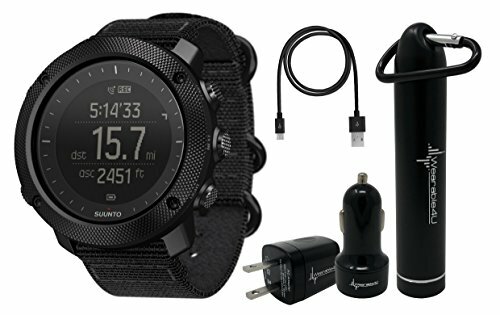 Keep your Suunto Traverse Alpha charged at all times with our Wearable4U Power Bank and the duo of the Wall & Car USB Charging Adapters!